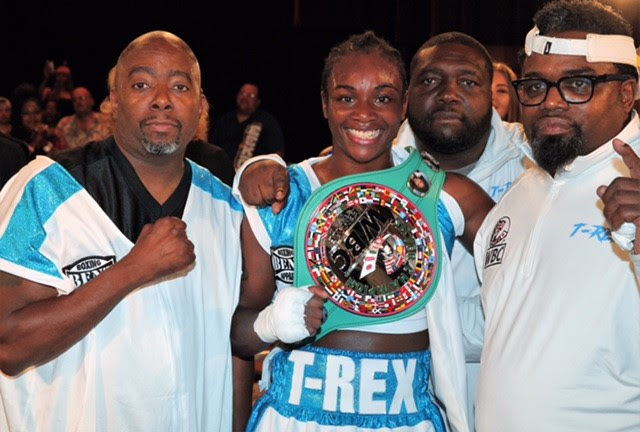 WHAT: Unified champion and two-time Olympic Gold Medalist Claressa Shields reflects on her remarkable amateur career and forecasts success in 2018, starting when she defends her belts against undefeated mandatory challenger Tori Nelson this Friday at 10 p.m. ET/PT live on SHOWTIME. Shields (4-0, 2 KOs) takes viewers through a day of training camp in her hometown of Flint, Michigan, where she discusses growing up in the city that defines her and predicts a dominating professional career in multiple weight classes. The 22-year-old defends her titles against mandatory challenger Tori Nelson (17-0-3, 2 KOs) this Friday on ShoBox: The New Generation from Turning Stone Resort Casino in Verona, N.Y.